Every donor and every gift makes a difference at the Ford School. Here, we are honored to spotlight some of the many inspiring ways that donors and new initiatives continue to shape the school. Matthew Mellon (MPP/MPH ’16), inaugural recipient of the Margaret E. Weston (MPP '08) Endowment for Education Policy, found the perfect internship. He interned for the city with the largest public school system in the world: New York, New York. Mellon conducted policy research for some of Mayor Bill de Blasio’s most ambitious education initiatives, including de Blasio’s drive to offer free, public pre-kindergarten programs for any four-year-old in the city: Pre-K for All. Read more. 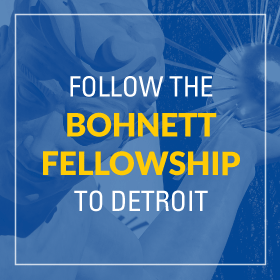 Through the David Bohnett Foundation Leadership and Public Service Fellowship, renewed for another three years in March 2016, accomplished Ford School masters students gain valuable real-world experience in addressing planning, policy, and social issues in the City of Detroit mayor's office. This innovative partnership has helped with the recruitment of a number of students interested in urban planning and economic revitalization. Read more. 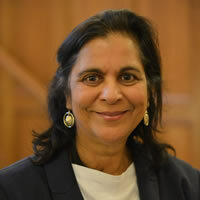 Ford School Committee member, Adarsh Trehan, and her husband Ranvir Trehan recently established the Trehan Family Ford School Fund. 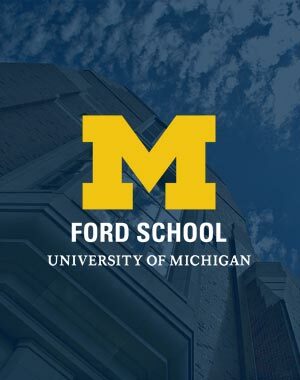 Their generous contribution to the Ford School is part of a $2 million gift to the University of Michigan in support of the Victors for Michigan campaign. Read more. Susan M. Collins, the Joan and Sanford Weill Dean of Public Policy and her husband, Dr. Donald R. Vereen, Jr., are the first donors to the newly created Graduate Centennial and Future Leaders Funds at the Ford School. Believing in the power of endowments and knowing the long-term impact that their gift will have on educational opportunities for Ford School students, Dean Collins and Dr. Vereen were inspired to launch these new endowed funds. Read more. Planned gifts and endowments have a tremendous power and leave a lasting legacy, as demonstrated by the the fund honoring and remembering the Ford School's longest serving faculty member, Arthur W. Bromage. Established in 1976 as our very first endowment for student support with gifts totaling $383,000, the Arthur W. and Mary C. Bromage Fund is now valued at $1.3 million. 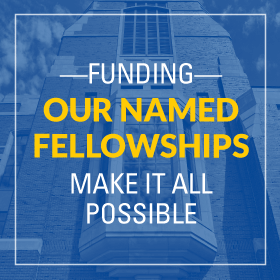 Last year alone, this endowment had a critical impact on the lives of 14 Ford School students by supporting five fellowships and nine internships. Read more.